Handcrafted of fine Mediterranean olive wood by artisans, so that no two pieces are exactly alike. 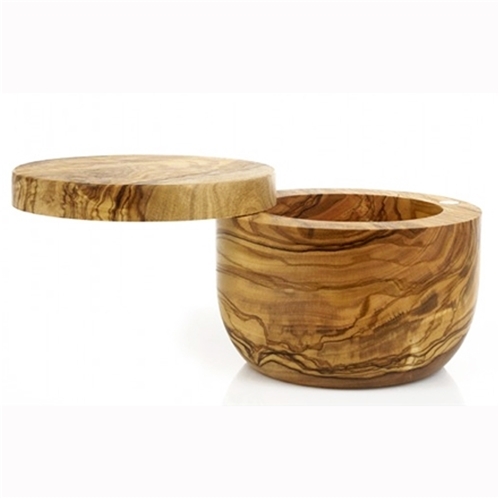 This stunning lidded salt box is hand-carved of a single piece of wood with a hidden magnet closure for the lid. Hand wash only and dry thoroughly. A light wipe of food safe mineral oil will restore the wood to its original luster. Made in France.